Nissan QR20DE engine is a 2.0-liter engine replaced the old famous SR20DE engine. The QR20DE has aluminum cylinder block. It received the individual ignition coils, electronic throttle, modified cylinder head, variable valve timing system on the intake camshaft, balance shafts for smooth operation, and other small touches and changes. The QR20DE hasn't hydraulic tappets. Valve gap adjustment is required every 60,000 miles. The QR20DE is not such reliable as its predecessor. The manufacturer says what engine warranty is 120,000 miles. If you will change engine oil more often than service schedule requires, drive very careful and gentle, there's a chance to get 150,000 mileage. To summarize, of course, the QR20DE engine became more modern and technologically advanced, but many people prefer the old SR20DE, due to its reliability and simplicity. 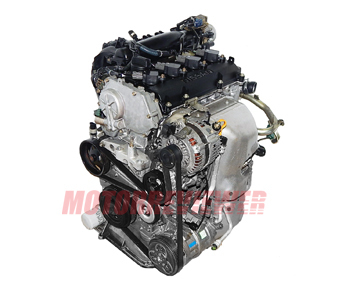 There is the more powerful 2.5-liter QR25DE engine of QR series. Later, another two-liter engine the MR20DE replaced the QR20DE engine. 1. The stretched timing chain. This disadvantage is suitable for the first production year. The new chain will allow you to forget about any issues with it. 2. Oil leaks from the cylinder head cover. That issue fixes by installing the new gasket. 3. This engine is hard to start in the cold weather. 4. The catalyst has a short life. 5. The thermostat is an example of unreliability, and you can quickly overheat the new aluminum cylinder block.